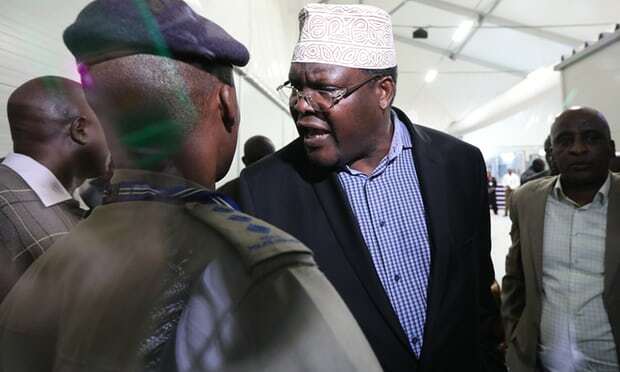 Wednesday September, 2019-Self proclaimed National Resistance Movement (NRM) General, Miguna Miguna, has claimed that Migori Governor, Okoth Obado, has compromised detectives investigating the murder of University of Rongo student, Sharon Otieno. Sharon, who was seven month pregnant when she was killed, claimed Obado was the father of the child. On Tuesday, CID detectives took DNA samples from Obado to identify whether she was the real father of the child which Sharon was carrying. But according to Miguna Miguna, this was a cover up by police to shield Obado from being prosecuted over the macabre murder. He also said police should have used DNA samples from the murder scene to establish the real killers of Sharon. “Link the DNA at the crime scene to the murderers,” Miguna who is still in exile in Canada wrote on his Twitter page.